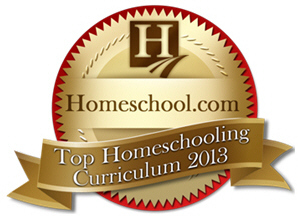 Top Homeschooling Curriculum Awards & Products for 2013! Homeschool.com readers have voted and the following companies have been voted as Top Homeschooling Curriculum for 2013—and right in time for the back to (home) school season! Please take a moment to review the companies listed alphabetically below—after all, they’ve been named the best of the best! 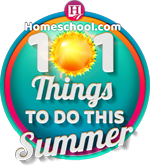 We’re sure you’ll see many you’d like to incorporate into your homeschooling efforts this year. There’s something for everyone—music, art, history, math, tutoring, life skills, and much, much, more. 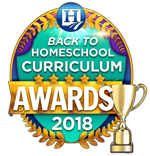 Thank you to all those who participated, and of course, a big congratulations to the companies named the Top Homeschooling Curriculum of 2013! Each year, millions take piano lessons with hopes of being able to play songs they hear from the radio. Over 10 years and 10 thousand dollars later, they still are unable to do so. Is there an alternative? Yes. Robert Chambers decided he would not only figure out how to play any song on his own by ear, but also develop a method that would enable everyone else to do the same. Art Jams project kits contain everything you need to create a delicious work of art. No shopping around to find quality art supplies — just open a jar. Free educational and demonstration video links can be accessed from their website. Students learn terminology, history and techniques too. Computer Science For Kids offers two different “parent-friendly” middle school and high school computer programming curriculums for Microsoft Small Basic, Visual Basic Express, Visual C# Express, and Oracle-Sun Java. One curriculum is designed for Christian based homeschool programs while the other curriculum is designed for secular homeschooling. Both are self-study and self-paced tutorials and neither requires prior parental or student computer programming experience. Writing can be FUN! Explore the Writing Adventures® System- a lively, highly structured, and systematic approach to the writing process. This research-based system consists of visually simple materials and games that focus on the function of language in sentences, paragraphs, narratives and essays. Also, each tool holds its own as a specific tool to teach or reinforce writing skills. These materials easily integrate with existing language arts programs. Madcap Logic was founded in 2003 by former Disney and Dreamworks animators with a vision to re-define art education. 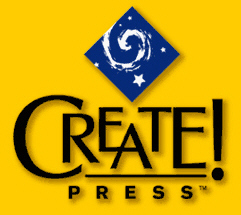 The result is Creativity Express, a comprehensive online curriculum suitable for homeschool settings. Sixteen cross-curricular lessons teach the elements and principles of art, with an added focus on empowering kids’ inner creativity, imagination and critical thinking skills. Hands-on projects complement the online lesson content. The Deeper Roots team produces Bible curriculum, written BY homeschoolers—FOR homeschoolers. Their materials help you move your students from Biblical knowledge to spiritual application. Essential, well developed teacher’s notes empower you to teach with confidence and minimize your preparation, enabling you to more effectively disciple and mentor your student(s) for maximum spiritual growth. For Junior and Senior High students. A flash-deal website that lists new educational products at a discount of up to 90% off! Check daily for new educational deals for your kids on the top brands and homeschooling products. All sales are for a limited time and are gone in a flash! 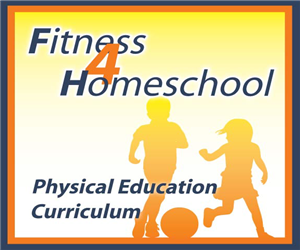 The Family Time Fitness—Fitness 4 Homeschool Curriculum lets homeschool parents teach physical education without having previous knowledge of physical education or athletic development. The programs are thorough, safe, and emphasize spatial, body, and environmental awareness; neurological development; mind-body coordination; stress reduction; social engagement and more. Making Algebra child’s play! This program can be used with any math curriculum to provide students with a solid foundation for success with algebra and to demystify abstract algebraic concepts–and it can be used with children as young as eight years old! Home Art Studio is a DVD/ROM based art education program specifically created for homeschooling families. It is designed to increase a student’s love and appreciation of the visual arts while enhancing a child’s ability to problem solve, think creatively, and truly see the world around them. Even parents who don’t have an art background can easily use Home Art Studio to add art to their curriculum. 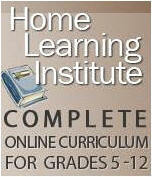 Complete online curriculum for grades 5-12. Lessons are ‘research-based’, encouraging students to find the information, not just read posted material. The courses inspire students to become critical thinkers, who view all sides of an issue and can arrive at thoughtful conclusions. Courses contain complete lesson plans, answer keys, assessments and a parent/teacher response component for each question. Parents function as the teacher, and direct the student’s education. The parent is free to include or exclude any parts, as well as add special assignments to enhance the course of study. The electronic grade book provides 24/7 access to each student’s progress and archives past quizzes and tests that can be reviewed online at any time. 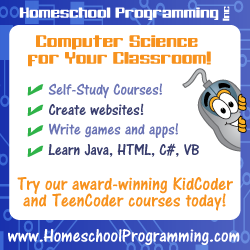 Homeschool Programming, Inc provides self-study computer programming courses for kids and teens in Java, HTML, C#, and Visual Basic. Students learn how to create their own programs, web pages, games, and Android apps. Each course offers fun, hands-on activities, unique instructional videos, and award-winning textbooks. No teacher expertise is required; the turn-key system guides students with a step-by-step approach, building computer programming skills from the ground up. I Can Play Violin! provides accelerated violin coaching programs and the Violin Learn-A-Song-A-Month Masterclass which teaches children 3-11 one song per month. The Masterclass comes in a DVD format, is mailed to your home, and is complete with practice and playing tips, plus guidance regarding the song chosen for that month. Learn from a fellow homeschooler and professional musician. iCreate offers a kid-friendly software and iPad app for kids to share what they know through making stop-motion animations. By taking a series of pictures that are then shared as a movie, kids create digital stories across science, math, and language arts. Projects can range from visualizing math word problems, to illustrating blood flow through the heart, to poetry interpretation. Download a free limited feature version of the software or purchase the iPad app to create and share. JubiLingua is a card game that makes learning French fun. The six decks are great for practicing French verb conjugations in the present and past tense and for practicing negative sentences and other grammar concepts. The card decks are the size and durability of regular playing cards. Each game can be played in pairs or groups of up to 4-6 players. The Kelso’s Choice kit has helped elementary-aged children resolve conflict for over 20 years. 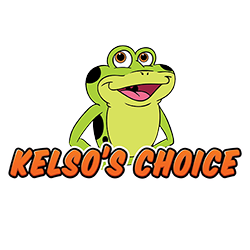 The program features Kelso the Frog, and is based on the premise that every child is strong enough and smart enough to be a peacemaker. Children first learn the difference between “small,” kid-sized problems that children can resolve on their own, and “BIG,” serious problems that always need to be taken to an adult. Then, they learn nine “Kelso’s Choices” to choose from to solve “small” problems. These choices are called Kelso’s Choices and are displayed on the Kelso’s Choice Wheel. The kit comes with a Leader’s Guide of activities and lessons, puppets, posters, a storybook, and a DVD showing vignettes of real children confronted with conflict and their solutions using Kelso’s Choices. The program matures with kids as they age from young children to pre-teens. KidsEmail is a completely safe email that allows parents to monitor what their child reads and/or sends. The parental controls allow parents to choose if they see incoming and outgoing messages, create contact lists, allow attachments or images, and filter out bad words. Parents can give their children as much freedom as they choose, and have the peace of mind that their kids are safe while using e-mail. 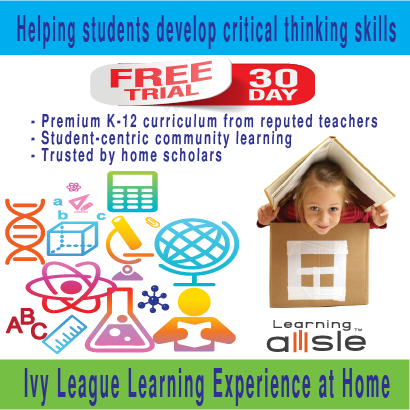 Helping K-12 students develop real-world critical thinking skills in an Ivy League homeschool. 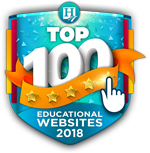 They’ve vetted the Internet with 10,000 pages of instructional content, 21,000 assessment questions, videos from Khan Academy, PBS, History Channel, interactive educational games, and more. Homescholars create ‘study lists’ for personal learning goals based on ratings/recommendations and inputs from peers. Parents help educate students, communicate with other parents, share tips/tricks—all in one place! Lesson Library provides families with over 7,500 learning resources in all school subjects, K-12 for less than $2/year. Their activities range from simple worksheets to great activity books, arts & crafts, cool science experiments and lots more. They add 50 new lessons every week and members can even contact Lesson Library to request material that they’ll write for them – at no extra cost! From the basics of reading music to the intricacies of theory skills, from music history to interpretation coaching, Professor Muller has much to offer homeschoolers, including his international experiences. Several types of class are proposed, and he tailors instruction to your needs. 3P Learning is the online publisher of the award winning K-12 adaptive math resource Mathletics. Fun and engaging with real time competition against students from around the world, with adaptive targeted practice, and with step by step support for each concept. Math-U-See is a complete K-12 math curriculum focused on homeschool and small group learning environments that uses manipulatives to illustrate and teach math concepts. For over 20 years, they have successfully taught students to understand and apply mathematical concepts. The Math-U-See curriculum is organized into levels, not grades, so that students can be placed and proceed according to individual ability. Students proceed at their own pace upon demonstrating mastery. Instruction is conducted individually or in small groups in order to obtain the maximum amount of growth for each student. 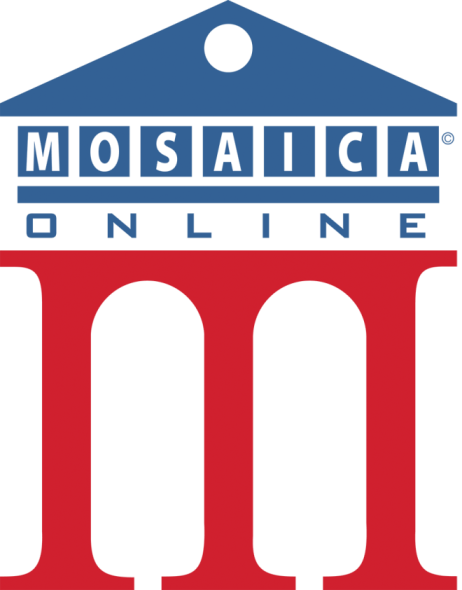 Mosaica Online offers K-12 accredited education, available in the safety and convenience of your home. Students are taught by distance learning teachers who are experts in their fields and students interact with teachers and peers on a daily basis through a variety of Internet tools. Each day the learning experience extends from online lessons to hands-on projects where students learn by making and doing. 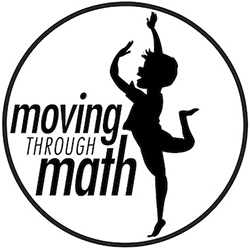 Nationally renowned arts educator Marcia Daft spent 20 years developing Moving Through Math—a fun approach to teaching pre-school and elementary mathematics. Her mission is to engage learners through music and movement, storytelling, pictures and writing, social interactions, and through personal reflection. With this program, your student sees how patterns in math are like patterns in rhythm and movement. NFC Academy Online is an accredited online school, for elementary–high school students, which teaches from a Biblical world view. On their website, the school states—NFC Academy seeks to assist in personal growth and development of students by providing an education based upon an integrated understanding of Biblical principles and academic knowledge. Education with a proper emphasis on the spiritual, mental, social, and physical aspects of life leads to a balanced development of the whole person. Oak Meadow believes children deserve an education that nurtures confidence, curiosity, and a love of learning. Its homeschooling curriculum is infused with imagination and heart. Use it independently or through its fully accredited distance learning school, which offers expert teacher support and official school records. Quest is an educational incentive program for kids ages 3 -18 that uses scout like badges and awards to encourage kids to explore anything and everything. Quest offers over 1,200 badges on hundreds of topics in 9 Areas of Discovery. Reading Kingdom is an online program that teaches children 4-10 to read & write to a 3rd grade level. It features Dr. Marion Blank’s patented 6-SIM “Six Skill Integrated Method” which uses innovative techniques to teach all the reading & writing skills in an integrated fashion so that they complement and reinforce each other while fostering comprehension at every level. Listen to 57 songs straight from the Bible. The Leibee family—with 5 adopted children from 3 continents, as well 6 biological children—have been singing together for 30 years. Their first album, SCRIPTURE SONGS, features a capella worship. In the 2nd album, FAMILY FAVORITES, the Leibee’s came back together from across the globe to sing more scripture songs as well as some favorites. 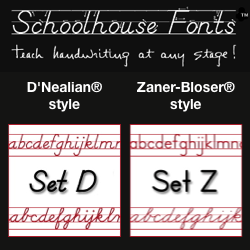 Schoolhouse Fonts offers educational handwriting fonts to supplement the most popular methods used to teach handwriting in the U.S. today– Zaner-Bloser® and D’Nealian®. Use these font sets to create your own handwriting worksheets for students to learn and practice handwriting — from printed manuscript through connected cursive. SimplyFun offers fun board games, family activities, brainteasers, puzzles, puppets, and conversation starters–suitable for all ages. Their products cover a wide range of academic subject areas, including language, math, spatial reasoning, critical thinking, life skills, and more. They offer high quality, built-to-last toys, and toys that are safe–every product meets or exceeds ASTM standards. In addition, SimplyFun toys get recognized—SimplyFun received over 50 product awards last year! Spirituality for Kids is a FREE online educational program in English and Spanish, that teaches children (ages 6-12) universal, spiritual principles aimed to develop a sense of purpose in children, encourage kids to reflect on their actions, have children see challenges as opportunities, help children develop self-worth, help children develop a desire to make a difference in the world, and help them tap into their inner strengths and see that the power to overcome any challenge lies within them. Standard Deviants Accelerate is an online learning site that allows middle and high school students to succeed. Differentiated instruction aims to maximize each student’s individual success, while pre- and post-assessments measure comprehension and retention. Plus, Accelerate focuses on re-teaching difficult topics to really drive key concepts home. As knowledge accumulates, students are provided with activities that engage them in progressively higher orders of thinking. Students have a “locker” to store all completed material to be reviewed at any time. Parents have a “toolbox” where they can see which assignments have been completed, can view each student’s scores on the automatically graded quizzes, and are able to grade written assignments using the editable rubric. A retired veteran math teacher saw the sad decline of math education in the U.S. and decided to do something about it. He teaches math the way it used to be taught, supplying both the how AND the why, so that students UNDERSTAND math. Systematic Mathematics offers a non-consumable DVD program. Because the classes are on DVDs—your kids can easily replay and go over parts that are difficult for them. If a student needs more work on a certain lesson, s/he can simply watch the lesson again and print out another worksheet. For more than 50 years, the award-winning Pre-K—12+ products from The Critical Thinking Company have helped students of all abilities achieve better grades and higher test scores with highly effective lessons that sharpen the mind. Their products are fun, easy to use—they do not teach through drill and memorization or teach to the tests. 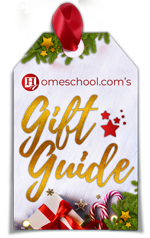 Lee Binz, The HomeScholar helps parents homeschool high school and is a leading Internet home school resource helping parents homeschool to college. She is an expert in how to craft winning homeschool transcripts. Lee is a dynamic homeschool speaker at homeschooling conventions as well as homeschooling support groups. Check out her homeschool online free mini-course and training webinar on how to give homeschool credit in high school. This Week in History brings your home school to life! Whatever you want to learn, whatever there is to teach, it starts with history. TWIH is keyword-searchable and the whole year’s archive is available at any time. Tired of textbooks? TRISMS is an aggressive tool for developing academic knowledge, critical thinking skills, practical living skills, literary analysis, writing, creativity, and more. TRISMS integrates writing with IEW, humanities, history, geography, literature analysis, rhetoric, economics, critical thinking, and more for middle and high school students. It’s classical, integrated, and research-based. 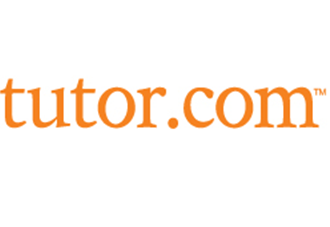 Tutor.com offers live one-to-one tutoring the moment a student needs help. With expert tutors covering a wide range of subjects, students can log on and connect to a tutor 24 hours a day, 7 days a week. Help is available to students in 40+ subjects, including everything from Algebra and Chemistry to Essay Writing and SAT Prep. Over 2,600 tutors and more than 9 million tutoring sessions! TutorZ.com matches American students with qualified and affordable tutors. Over 500 subjects, in all U.S. cities, from kindergarten to university, 50,000+ tutors nationwide. Free referral for students. Tutors are school teachers, college or university students and tutoring professionals. Find help with homework, math, algebra, English, ESL, Spanish and more. Tutors are peer-reviewed, certified, reliable and affordable. Uzinggo is an online math and science program for homeschoolers that helps parents teach upper-level grades and tough concepts that are traditionally difficult to teach. Learning is personal, enabling students to follow at their own pace, while providing parents with teacher guides to help enhance instruction. Students earn rewards they can use for prizes, and parents get real-time reports to track progress. A web-based curriculum spanning grades K-12. 24/7 access to courses Adaptable to student needs. Detailed reports to monitor student progress. Used by families nationally & internationally. Over 100 courses available. Easy-to-use Learning Management System. Your child can take an unlimited amount of courses per calendar year, allowing the freedom and flexibility for the coursework to fit into your family’s schedule. VSCHOOLZ was founded by a team of educators, curriculum specialists and educational technology experts to provide e-learning solutions to support a blended digital learning environment or for launching virtual programs. Curriculum is customizable at many levels and has been accepted for use in public, private and faith-based schools, homeschool organizations and individual homes. Their partner virtual school, Virtual Schools of Excellence, is fully accredited and NCAA approved for full-time enrollment or supplemental classes. 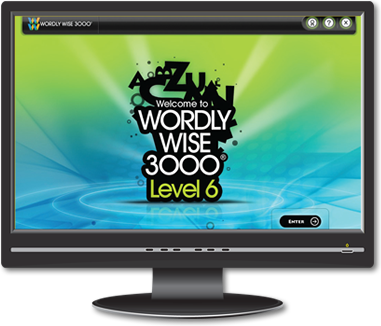 Wordly Wise 3000® Online, from EPS Literacy and Intervention (a leading publisher of K—12 blended-media reading and math solutions) helps students in grades 2-12 master the vocabulary they encounter in grade-level literature, content-area reading, textbooks, and in tests (including the PSAT, SAT, and ACT).